It was a busy week for us here at Story Planet. We listened to classical music during Homework Club, got the world out about our Alpha Workshop, prepared for the next instalment of our Write Space adult writing workshop and stepped up our hashtag game..! Have you heard of the Mozart Effect? It’s the theory that listening to classical music boosts brainpower and early development in children. Intrigued by this idea, we decided to try it out for ourselves during our weekly Homework Club and found the kids were really receptive! After homework help on Tuesday, we put on some classical music and encouraged the kids to draw whatever the music made them feel. From straight lines to squiggles, still mountains to fast moving butterflies, the kids picked up on the concept right away and created some great art. Overall, we had a lot of fun this week. Whether or not it was a direct result of the beautiful music, the energy in the room certainly helped to counteract the cold and windy weather outside. 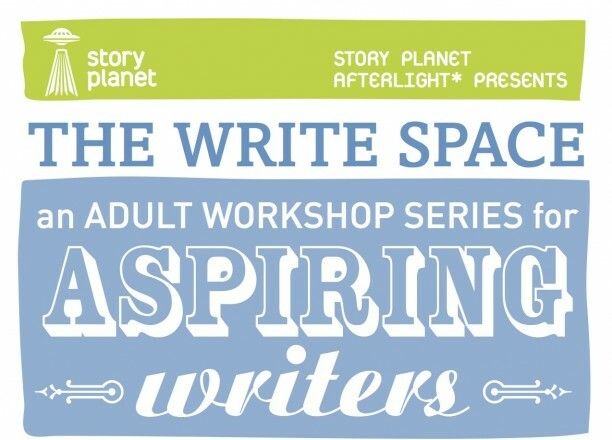 Speaking of enriching the mind, this Thursday, we’ll be hosting another session of The Write Space: An Adult Workshop Series for Aspiring Writers. This time, author Anthony De Sa will be discussing how to enrich your writing by tapping into your sensory experiences. To help with your creative process, please bring a small object with you to the workshop that holds sentimental value. As you may have heard, we’re hosting another instalment of our popular Alpha Workshop on the December 5 PD day and, thanks to overwhelming interest in this free event, it’s already filled up! Thanks to those who signed up their kids. If you missed this one, be sure to check back regularly to hear about other events we have coming up for young writers. #StoryPlanetOverheard is a new weekly post we’re launching where we feature an entertaining quote from one of the program participants. Be sure to follow us on Facebook, Twitter and Instagram to keep up with what we’re doing!